Pangbourne is a large village situated on the River Thames, about 4 miles west of Reading. The village has a long, rich history – dating back to at least the 9th century. There are still quite a number of Victorian-style houses located in the village, including one that I visited recently to carry out a Victorian tiled floor restoration. This floor had been hidden, unbeknownst to the property owner, under a linoleum covering for many years. Once the owner realised there was an original Victorian floor under the linoleum they were very keen to restore it as an original feature and stripped it off to expose the tiles, however, they were heavily covered in dirty, adhesive stains and other contaminants and we were asked to complete the job. You can see this in the photos below. 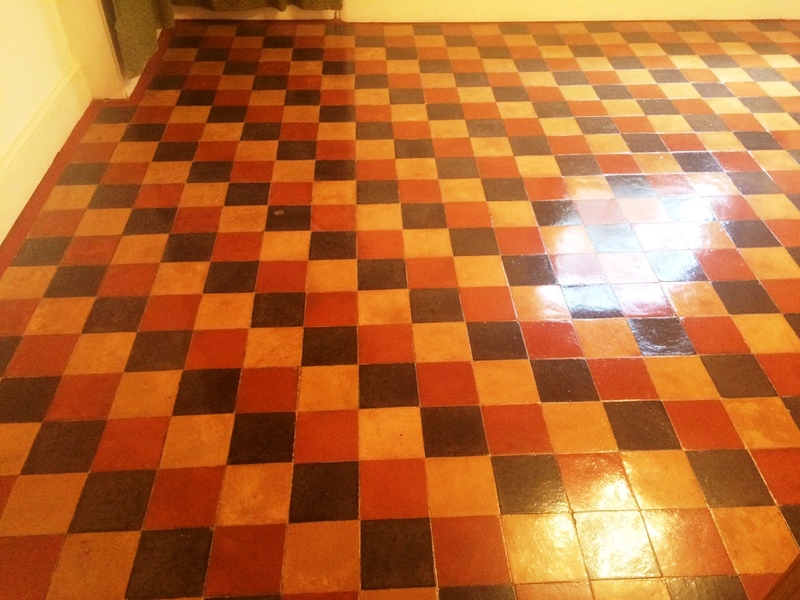 At Tile Doctor, we are very experienced in restoring original Victorian tiles, so I was more than happy to help this customer transform her floor. 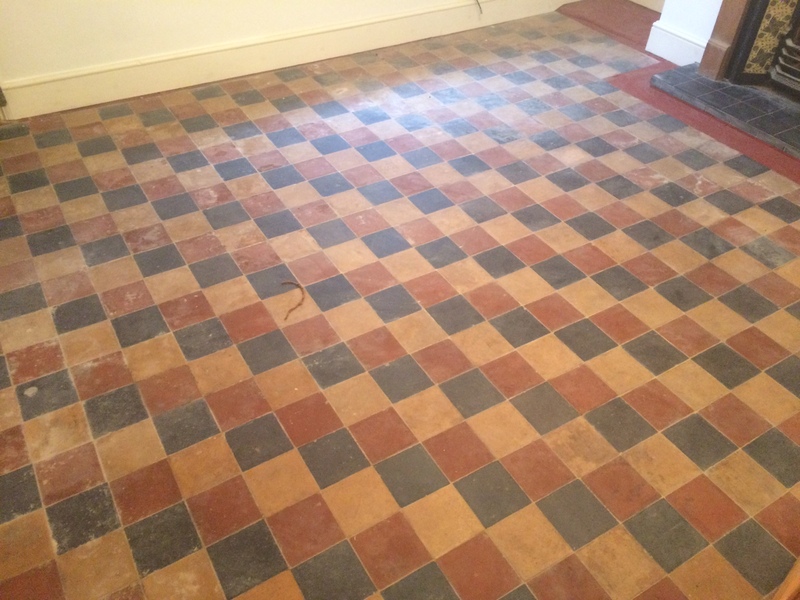 As I’ve mentioned, the top layer of this original Victorian tiled floor was marked with all manner of staining, so I decided that it would be suitable to use a set of 100 and 200 grit coarse Diamond pads fitted to a weighted machine and lubricated with a little water to grind away the damaged surface and restore the surface of the tiles. I then cleaned the tiles using Tile Doctor Pro Clean, which is our reliable alkaline-based cleaner for natural stone. This product really helped to break down and release the soils. Next, I rinsed the floor with hot water under low pressure to remove any remaining debris, dirt and contamination. With the cleaning process completed, the floor was allowed to dry for a full 48 hours. In older properties like these dampness can be an issue as damp-proof membranes are a relatively modern invention and I didn’t want to take any chances. Returning to the property two days later, I ran some moisture tests to ensure the stone was completely dry and could be sealed. 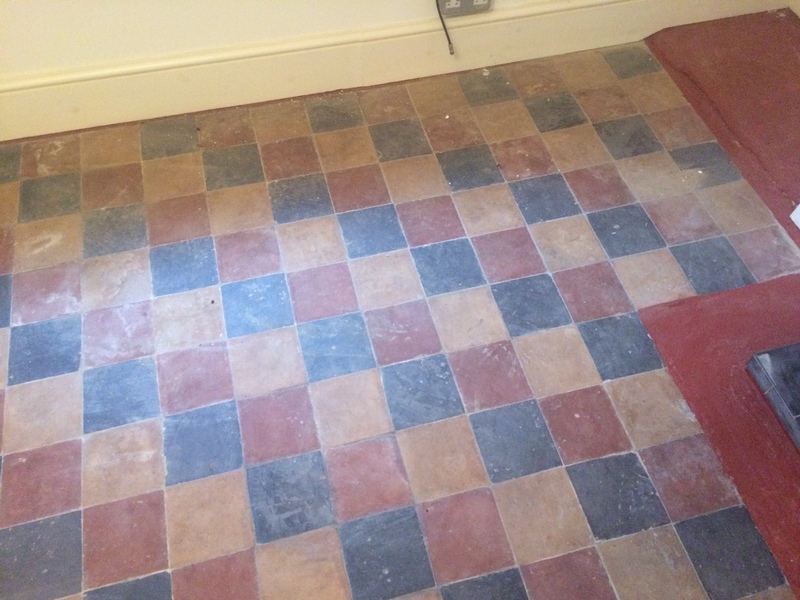 It’s always important to run damp tests on any tiled floor before sealing, since a small amount of excess moisture can undermine the performance of the sealer, and thus expose the floor to ingrained dirt and stains. Thankfully, the floor proved dry and I could seal it using Tile Doctor Seal and Go which, as a topical sealer, offers a robust surface seal and an aesthetically pleasing low-sheen finish. It’s also water based so it doesn’t give off a smell as it dries. 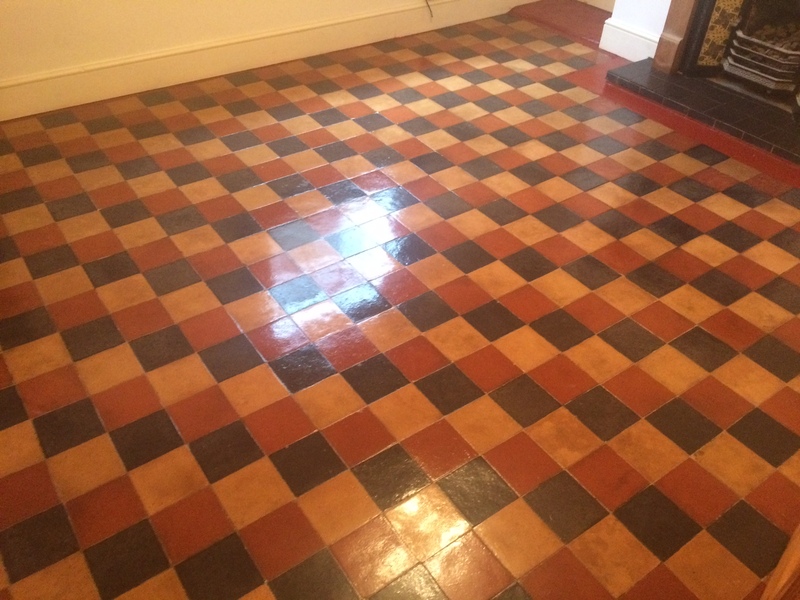 As you can see from the after photos, the restoration returned the life and colour to this fantastic original Victorian tiled floor. The customer was absolutely thrilled with the result.